Getting excited here. I feel it coming together. 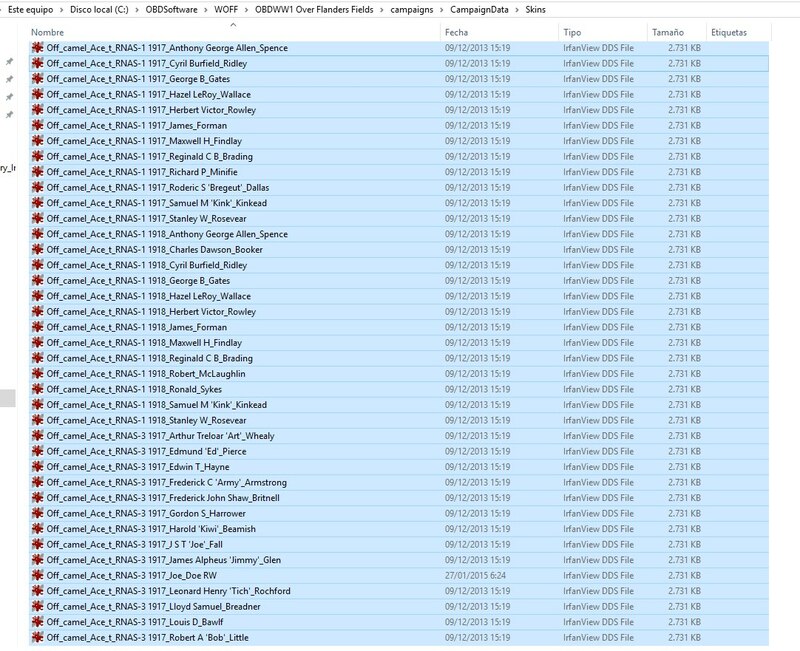 I do recall that when OFF and WOFF were released, OBD had the problem of the overall size of the sim, especially with the sheer amount of skins created. It was a toss up between adding skins against size and cost. I believe quite a few skins created were never included in the releases. 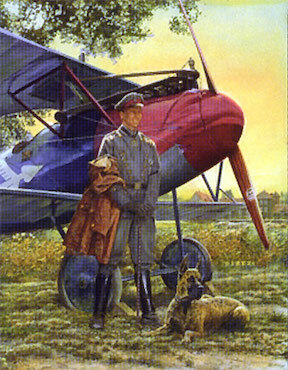 Hence the Bentley powered Camels could only have stock squadron skins. 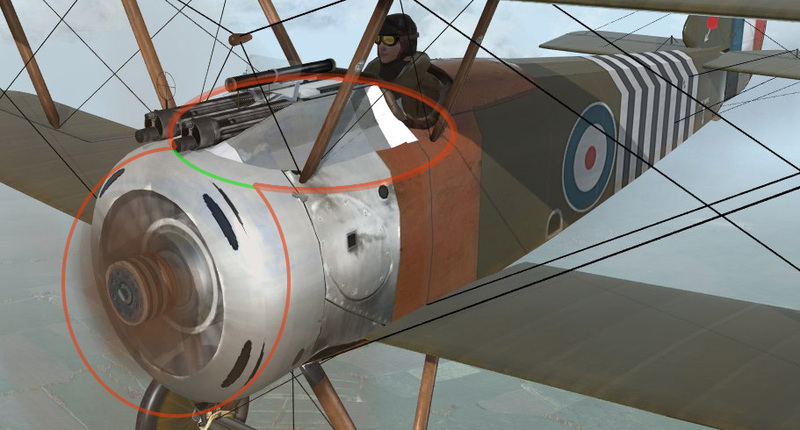 Also bear in mind that although skins may be amended and Shredward could update the squad aircraft data files etc, it would take an official patch release from OBD to fully incorporate the changes into WOFF. Until then I suspect you would only be able to use the skins as 'swop outs' for existing skins or as custom skins. Full integration into campaign mode I think would need a patch. I have the necessary bmp image of the engine cover representing the Bently hump. I have tested it on a camel skin and it fits nicely. The wood parts would need to be toned to match the different skins. 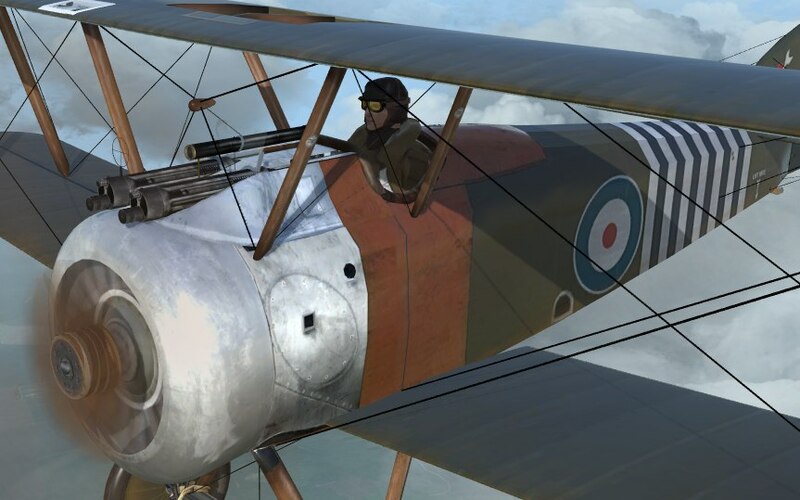 I am wondering if any of the existing camel skins can be converted for ace pilots and save having to repaint the whole skins. Grafting the Bentley front end onto an existing Clerget Camel doesn't work, as WOFF will use the 3D model and skin rendering for the Clerget. Using an existing Clerget skin named as a Bentley skin results in the corrupted Clerget cowl, as seen in the previous screen shot. 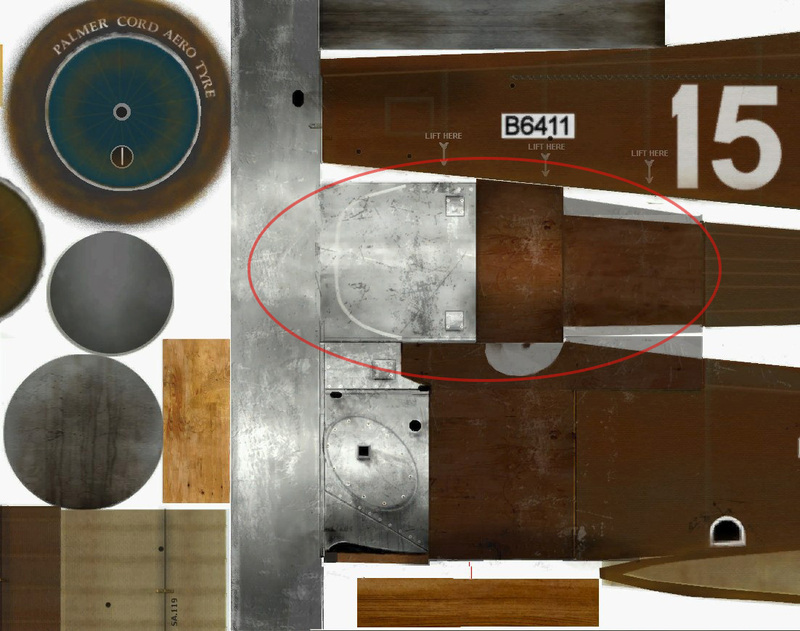 The best way is to graft Clerget skin colour schemes and ace individual marking onto an existing Bentley skin, then renaming that skin as your Bentley ace. some cleanup needs to be done to the colour and texture to make the part blend with the skin but that would be easier than a complete reskin onto a Bentley. Last edited by Robert_Wiggins; 08/04/18 07:13 PM. 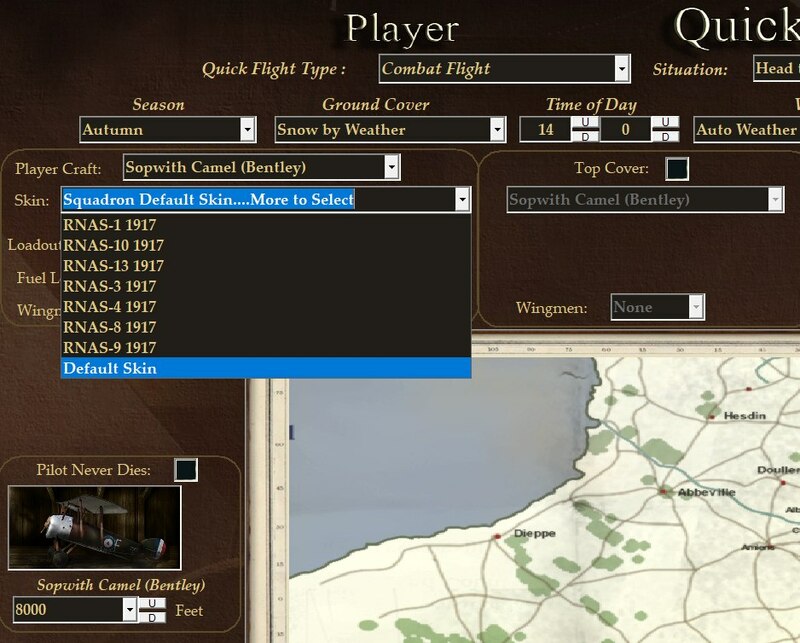 As long as the historical ace is already insim, and the squadron datafile shows that unit as having Bentley Camels, any new correctly named Bentley skins will show. 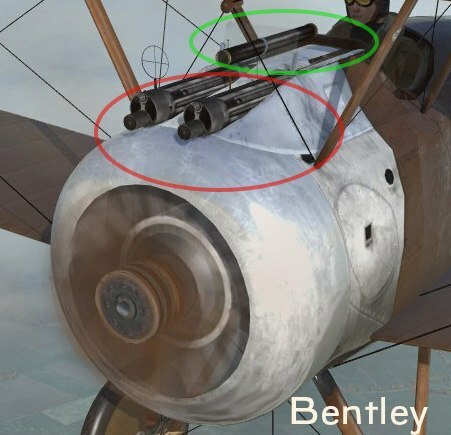 I'll have a look at the datafiles, but I think I made provision for Bentleys in the relevant squadrons. If you can let me know what skins need porting over to Bentley Camels I'll give it a go. What threw me was the skin in your shots has extra cooling slots in the engine cowl, which I took to be corruptions of the rendered skin onto a different 3D model of the Camel. 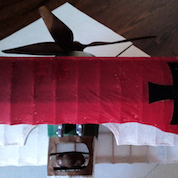 I agree your way of cutting the Bentley 'hump' and grafting it onto a Clerget skin would doubtless work. That said, my way although longer, negates the problem of matching wood tones. Which ever method is used the skins should be able to be sorted. I'll wait to hear from Ted as to which skins need changing to Bentley Camels. 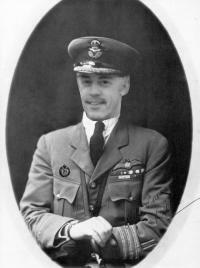 Yes those extra slots were my doing in order to replicate the custom cowl that Barker had on his Camel in RAF 139 Sqn. 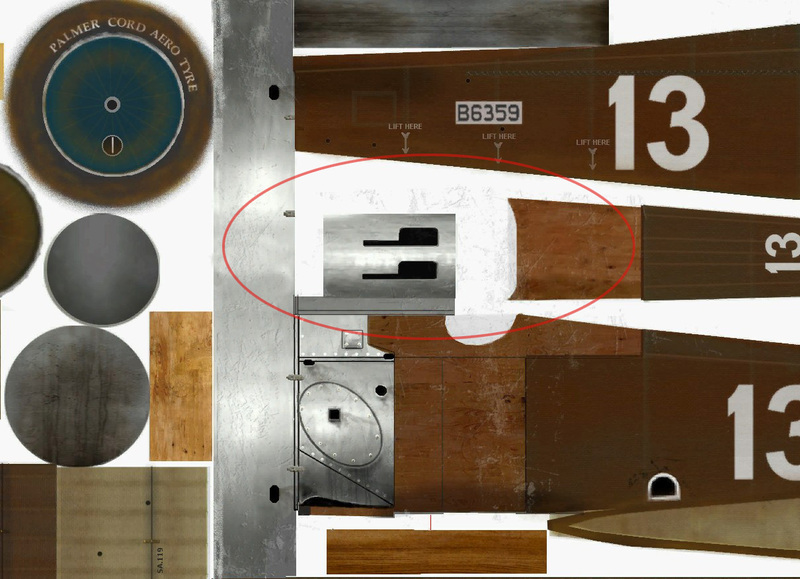 I think either way for works, but at the same time matching wood will still be a requirement because many of the Camel skins have different wood tones that won't necessarily match the wood tones in the Bentley skins. I have already edited six RNAS 1 ace skins with appropriate wood skin, markings and cowlings and they all work great in campaign. I have a working Photoshop Template will all Bentley needed corrections (including color variations). PM if you want to check it. Last edited by ArisFuser; 08/05/18 07:25 AM. Whew. You guys ain’t messing around. Got the template - thanks. Strike while the iron's hot !! Don't feel bad Shredwarf. There are plenty of imposters around. What did Shakespeare say..."A rose by any other name would smell as sweet"